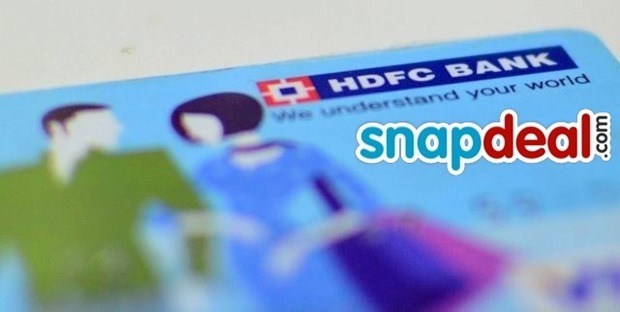 Snapdeal, which claims to be India’s largest online market place has joined hands with HDFC Bank, India’s 2nd largest private bank, to launch India’s first co-branded ‘e-commerce’ credit card. Visa would be the payment processing partner for them. Laced with several attractive offers, this co-branded credit card for ecommerce customers marks a new entry in the ever expanding digital space in India. Earlier, banks used to tie up with companies which were into traditional industries for launching co-branded cards; such as airlines, apparels and even music channel (MTV cards). The focus of launching such co-branded cards is tier 2 and tier 3 cities in India, which account for 70% of Snapdeal’s total orders. And majority of these orders are based on cash on delivery, as rural/semi-urban India is still uncovered by banks. On some levels, this new initiative to include rural India into the banking network compliments PM Modi’s Jan Dhan Yojana, which is a massive mission to open a bank account for every single Indian. As of now, more than 7 crore new bank accounts have been opened under Jan Dhan program and entered the Guinness Book of World Records as well. On the other hand, HDFC Bank, which had recently launched their new initiative of spreading banking service in rural areas via handheld, mobile ATMs will also compliment this new partnership. With more credit cards available to rural Indians, we can witness a surge in ecommerce shopping and these mobile handheld ATMs can perfectly support the whole campaign. Hence, Snapdeal and HDFC Bank has very smartly adopted PM Modi’s new initiative of providing tax breaks if the payments are done via credit/debit cards. Here, they are encouraging customers to use their new co-branded credit card by various discounts and reward points. Customers can directly apply for this co-branded credit card from HDFC Bank as well as Snapdeal website /application; although the eligibility criteria hasn’t been mentioned yet, it is speculated that rules have been eased for maximum engagement from Tier 2 and Tier 3 cities. "Snapdeal With HDFC Bank Launch India’s First Ecommerce Centric Co-Branded Credit Card", 5 out of 5 based on 6 ratings. Ola Starts Bug Bounty Program To Make Its Website and Mobile Apps More Secure!